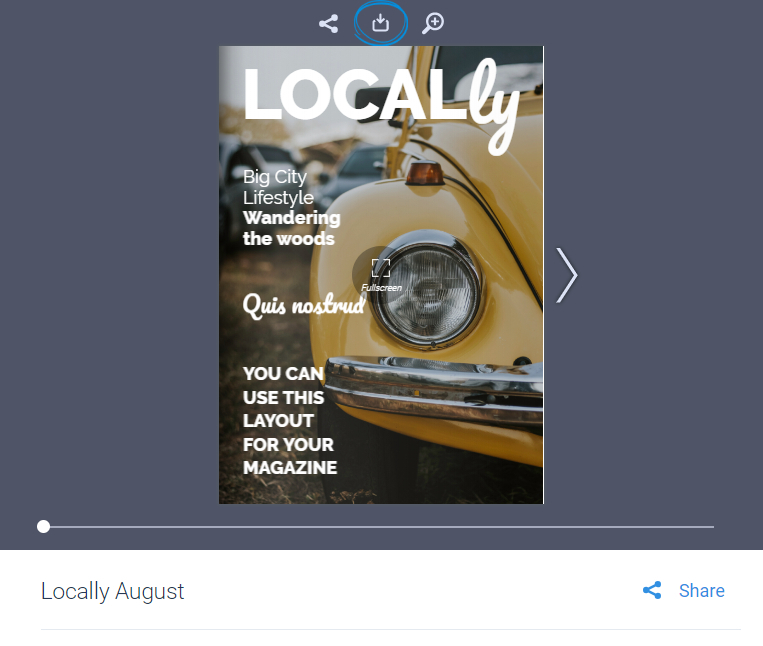 Find out how to download your flipbooks in PDF. it by going to My flipbooks, locating your flipbook, clicking on the three dots next to it and then on the Download option. 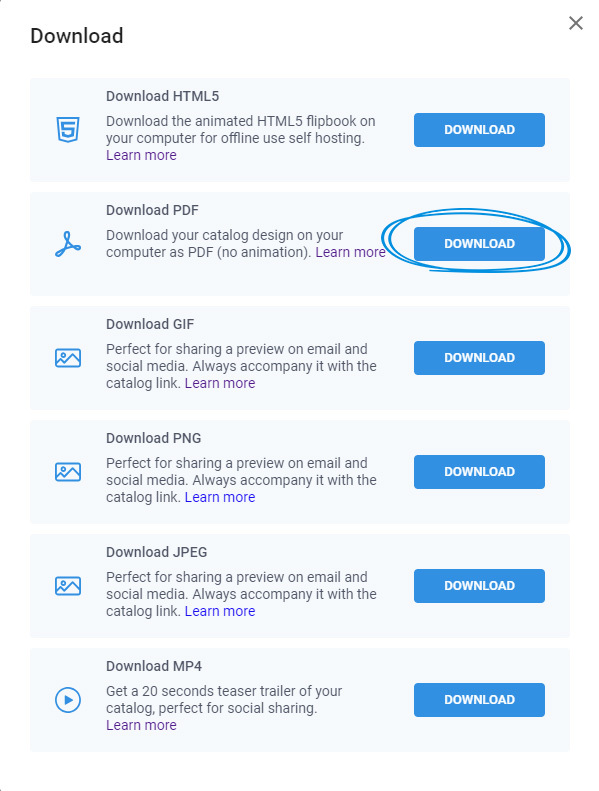 From the newly opened pop-up, select the Download PDF option and click on Download. 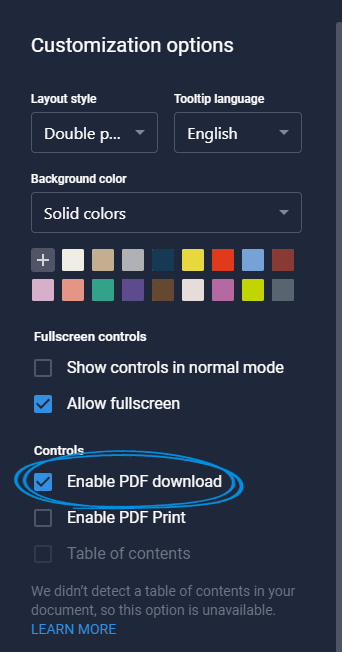 To enable the PDF download for your readers, simply open your flipbook in the editor and on the Customize page, enable the PDF download option then publish as usual. 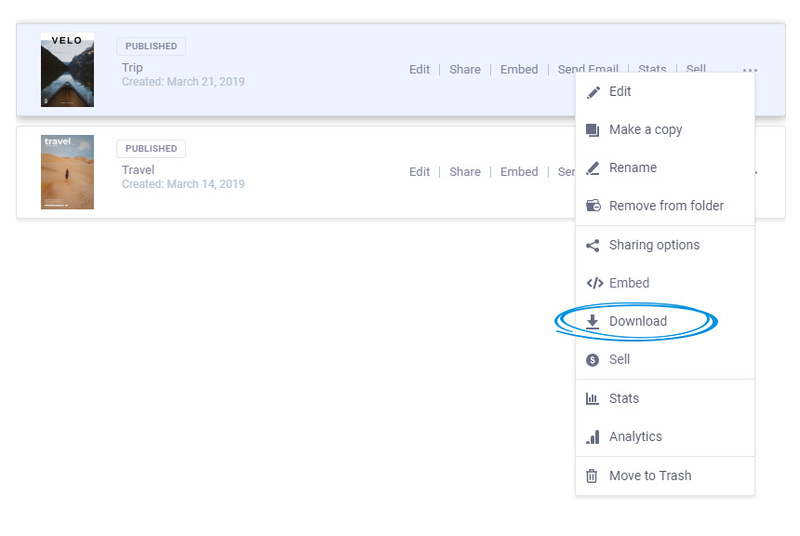 Your readers will be able to download the PDF by clicking on the Download button above the flipbook while in fullscreen mode or in normal mode if you also enable the Show controls in normal mode option. Let us know your thoughts on this feature in our live chat! Important: The PDF format does not support animations so the file you download is a regular PDF. To keep the interactions and animations you will have to download in HTML5 format.